Basically it's a ridiculous statement to make on Okon's part. I do recall he made similar statements when they got flogged 4-0 by FC early last season, quoting possession stats in their favour. I remember that game on TV and they spent countless minutes a passing between themselves in their defensive third then lost the ball every time they ventured into Sydney's half and got picked off !! There is certainly a gap as the talent is much diluted at NPL level and few clubs have the resources to pay a large squad decent wages. Even more remarkable is Blacktown's ability to perform well at NPL level year after year with poor crowds and no licensed club as such. Mr Lily Homes must be forking out a mozza though. In February this year, Lincoln City, who were in the 5th tier of England, made it to the 5th round of the FA Cup by beating (among others) Cheltenham who were in League Two, AFC Wimbeldown who were in League One, and then Leeds United from the Championship. They were drawn against Burnley, who are a Premier League team. Burney won 1-0 with a goal just before stoppage time. How wide is the gap between the 5th tier & 1st tier? Blacktown City had basically every advantage an NPL team can have in this fixture. 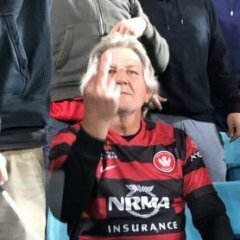 Mariners are barely in pre-season, and are one of the worst teams in the comp. Blacktown are at the pointy end of their league season. Blacktown were at home like every NPL vs A-League game. They have a synthetic pitch. A-League sides hate synthetic pitches. It would probably be torn up and replaced by grass if they were ever playing first tier. About the only thing that evened out was a few of Blacktown's better players were hurt, balanced by Mariners not having recruited their full squad yet. If this Blacktown squad were in an 11 team A-League, over a ~30 game season they'd finish last. Lets not belittle little Lincoln City now or reduce their achievement in anyway. Lincoln beat Burnley with a stoppage time goal and went on to face Arsenal in the QF's where they were beaten. I typed in the wrong team (even after watching the youtube highlights again). I meant to write a bit more but had to leave for a bit. Should have double checked it. NPL sides in season, fully fit and home ground advantage but in saying that A-League sides have zero excuse. I know they are early in preseason, the squad is not completely finished and the field is not ideal but that shouldn't be an excuse. These guys are full time professionals, for Okon to say what he did was almost counterintuitive, the gap is growing but why didn't that show on the field? If Okon gives more of that this season, it's going to be a long hard year for the Mariners fans. You just hope that he isn't just smoke and mirrors, you hope that this season you'll see him deliver on the field. Mariners playing a friendly against the Chinese under 22's. Okon allows the Chinese Olympic Team to replace their sentoff player at half time (a different player). They are getting a new signing though. Apparently a relatively low profile Australian player. They need a striker, wonder if it's Joey Gibbs. Nice to see Melling mark his Mariners debut with a yellow card. Just left Brisbane and gone to CCM. The Mariners were clearly going to release Okon at the end of the season and thus weren't giving him any transfer input. Such an SBS position they're taking. 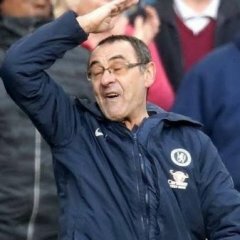 He played pretty possession football so it's referred to as "very positive signs" when a manager quits mid season, having the lowest win percentage of any manager with 50 or more games. Inaugural manager for the Southern Sydney expansion team? Mulvey just announced as Mariners Head coach for next season. Mariners have dropped the axe (sharp wooden spoon?) and released Rose, Roux, Poscoliero, Bingham, Powell, Skapetis and Glover, plus the strength and conditioning coach and academy technical director.